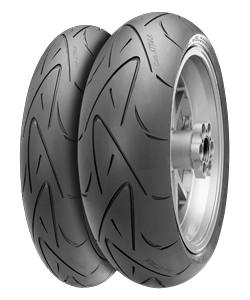 Whether you are interested in Supersport Road or Supersport Plus wheels for your road bike, the tyres Continental that giga-pneumatiky.cz offers are all the rage if you like to race. These racing tyres include quality Enduro tyres that sport an excellent price-performance ratio. If you are looking for new wheels for your MTB, city, trekking or racing cycle, you should be able to find what you are looking. Optimal grip and precise handling are offered for your safety. Whether you like to ride your bike to work or go on outdoor adventures, these wheels are up for the challenge. Moreover, these tyres are lightweight and robust. They will perform extremely well when faced with tough conditions. The special silica compound is responsible for the great performance characteristics that these wheels are known for. However, you will have to make sure that the tyre pressure is correct if you would like for these wheels to perform their best. Make sure that you are moreover selecting the right tyre size if you would like to buy these grand tour wheels for your bike. The high mileage is yet another plus that might make you choose these wheels over others. Continental has been offering this line of wheels for a long time and is guaranteeing maximal safety.